I remember growing up; my mom always smelled like Jergens, the original cherry almond lotion. Oh I loved that smell. Dinners always consisted of some kind of meat or meat by-product. Then and only then some type of starch and veggies were added. Thank goodness times have changed. Meals have become more healthy and focused on fresh and seasonal vegetables. And why not, veggies can open up a whole new world. My idea of a great vegetarian meal is one in which no one realizes it's meat free. The meal is colourful with lots of flavour and texture. The ingredients are easy to obtain and the recipes easy to navigate. 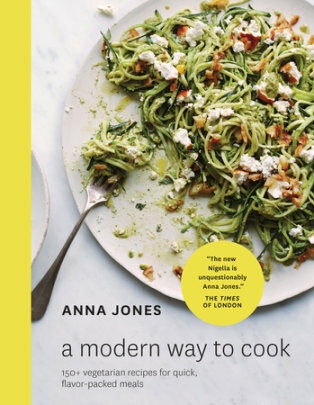 Now enters Anna Jones, a very talented London based chef. She has previously worked with Jamie Oliver and has just published her second vegetarian cookbook, “A Modern Way to Cook”. Her focus is on seasonal and wholesome ingredients that can be prepared quickly. The recipes are organized into chapters according to the time they take to put together, 20, 30 or 45 minutes. There is also a chapter on investment cooking, the kind of cooking that takes more time in the kitchen like nut butters, granola and such. “The backbone foods of the kitchen” as she so aptly describes. From this cookbook I prepared the butternut and cannellini gratin. It is wonderful combination of red onions that were cooked down until soft and sweet. Butternut squash was then added along with a few sprigs of rosemary. As you can imagine by now; the kitchen smelled heavenly. Next cannellini beans are added, vegetable stock and juice from a lemon. The gratin was topped with torn sourdough bread pieces and grated Swiss cheese and then baked for 45 minutes. In my own defense I was not sure what my husband would say because of the beans, not a big fan........ but he loved i!. Will be making this again. The next day I added the gratin filling minus the crispy bread topping to a quesadilla and enjoyed it for lunch, delicious. I highly recommend, “A Modern Way to Cook” to anyone wanting to enjoy quick vegetarian meals that are very thoughtful and easy to prepare. Sounds like a great recipe and book. And that quesadilla? What a perfect way to use leftovers! Thanks Abbe, having fun with this cookbook, one of my favorites so far. Oh my gosh, the gratin sounds wonderful! Definitely a recipe I would enjoy. Thanks Kris, it really was good. What a great review and a book I would buy for sure. Thanks Tandy, it is a great cookbook for sure. I NEED some gratin now...so delicious and comforting! Thanks Angie, we really enjoyed this. Thanks Grace, both meals were delicious. Hi David, have fun cooking up all your squash, love that it is so versatile. Meals have definitely changed! A more modern approach is a good thing. The butternut gratin looks beautiful. Thanks Velva, I love this time of year, so many possibilities. Lovely recipe Cheri. I am so appreciate og your honest review too. The butternut squash gratin looks great. Thanks Linda, I really enjoy the way Anna Jones puts a recipe together. Bill still expects meat, starch, veggie. But I love making vegetarian dishes for my lunch. 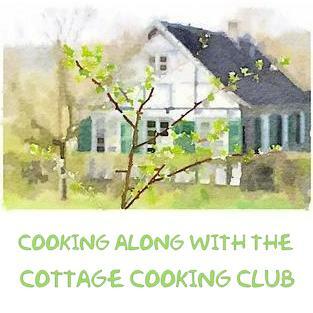 This looks like a terrific cookbook! My husband is coming around, but he prefers his meat and potatoes too. I personally love meatless Mondays and have tried to incorporate this idea into a household of males. Wish me luck, I might need to go and get this cookbook . haha! understand, hey even if it's one day a week thats great. Thanks Bobbi! I love to create meatless meals, too, that everyone enjoys without any question. The dishes you prepared look awesome. I have this cookbook. While I agree it's beautiful and inspirational, I find some of her recipes are poorly written. Quantities are often off and she skips important steps. Still, it's a lovely book if you now how to cook and can modify a recipe....in my humble opinion. Thanks for all you do to inspire. Hi Dena, I have not run across anything like that yet but sometimes I think I cook more by winging it myself, that's probably why I am not the best baker. Have a great week! Hi Monica, life is grand, you never know.......that's funny crazy about the Jergen's seems as if many people remember that scent. You are tempting me with another great looking cookbook, Cheri. I'm trying to downsize here! We food bloggers have a real problem...we love new cookbooks! Running out of space in my house! I know what you mean Barbara, I figured out I have 99 cookbooks and I still want more. Thanks for stopping by. your meatballs look delicious Natalia, will have to prepare them for my family, they would love them. There are so many things I want to try from that book! And, I have a butternut squash sitting here now waiting to be used. This gratin sounds great! Thanks Lisa, there are many more things I want to try as well. Take care! haha! I agree, you are so right. I try and eat everything in moderation. Sugar is the food I have the most trouble with. My mom smellled exactly the same way!! I LOVED IT..I must look if it is available..you just reminded me..I bought Vick's recently..just because of childhood memories..it didn't smell the same :( I discovered it was lemon scented:( Why mess with perfection?Wonder if Jergen's smell the same as 45 yrs ago..50 yrs ago..55 yrs ago? I still can't believe I am 62..in 3 yrs a senior citizen. The book looks very good! Lemon in Vick's, hard to believe. My mom used to use Macuracomb on us as kids. I don't think they even use or make it anymore. Crazy how things change. Take care. Hi Susan, I'm going to make it again for the holidays, I think the addition of the red onions brought a nice flavor to this dish. Take care! I am a vegetarian and this book sounds wonderful, Cheri. I love butternut squash. Luckily, I have a butternut squash in my fridge and that gratin can make a good use of that. Amazing share. Thanks Anu, it is a great book. Love the recipes on your site. Mmmm,looks good. Though at this point in my life, I'm not sure even this would do it. Though it would be fun trying! Thanks Inger, it's a great cookbook. Take care. minus the crispy bread topping ? I think the crispy bread looks as the best part. Thanks Haddock, appreciate you stopping by. What a coincidence - I'm reading that cookbook right now! And thanks to your post, I know which recipe to start with. It's a great cookbook, there is so much to choose from. Hope you are having a great week. Thanks Beth. 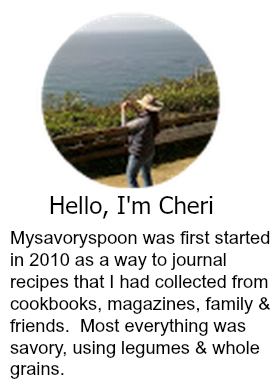 Hi Cheri, this cookbook look good, thanks for sharing. The butternut squash look very inviting. Have a great week ahead,regards. Thanks Amelia, you too. Wishing you a speedy recovery. Looks like a great book, and our thoughts in vegetarian food are similar: if no one even misses the meat, it is a successful dish! Memories of Mom do sneak in in the funniest ways...Anyway after reading your review no one can say the English don't know how to cook! The butternut squash and the quesadilla look very gourmet and gorgeous! I love butternut squash and that gratin sounds great. I think I would love that cookbook. The quesadilla is brilliant and no doubt yummy.